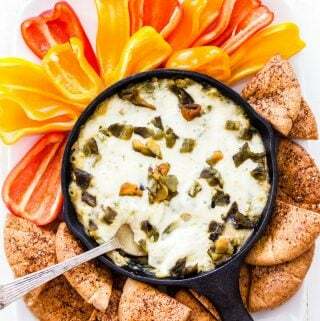 Cheesy Baked Jalapeño Black Bean Dip is the ultimate dip to serve for the big game or your next party! Cheesy, creamy and a little spicy, it will be gone before the game even starts! Thanks to Kettle Brand for sponsoring this post. As always all opinions are my own. Less than two weeks until the biggest football game of the year. Football fans are already planning for the big game and those who could care less are counting down the days until their weekends are no longer consumed with it. Whether you’re a fan or not, I think we can all agree that the food makes it worth sitting through a nearly four hour game. One of my favorite snacks to have during the big game are chips and dip. Growing up my parents didn’t buy chips very often and dip was unheard of, unless it was salsa. So when game day rolled around it was the one time we were allowed to pick out our favorite bag of chips and dip. I think back to the not so wonderful selection that was available and how much it’s improved over the years. Gone are the days where a container of French onion dip sounds appealing to me. These days I’m all about making my own dips with ingredients that are real and that I can pronounce. 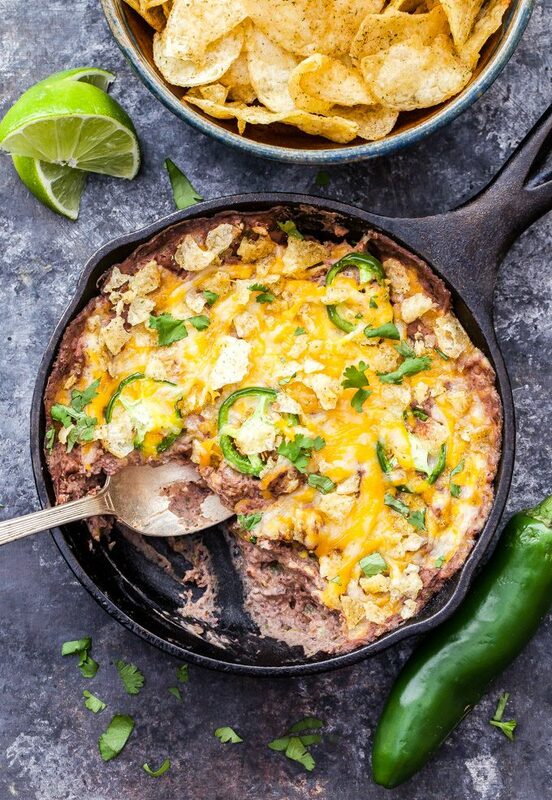 This Cheesy Baked Jalapeño Black Bean Dip was the perfect compliment to Kettle Brand Avocado Oil Chili Lime Chips. 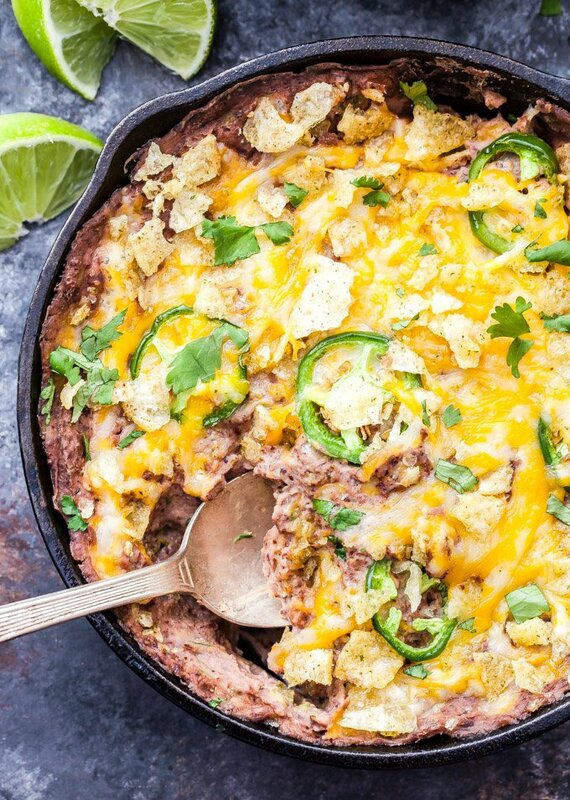 If there’s a chip or dip around that looks, smells or tastes Southwest or Mexican in flavor, it’s an almost guarantee you’ll find me hovering over it and filling my plate with all it’s wonderful spicy flavor. 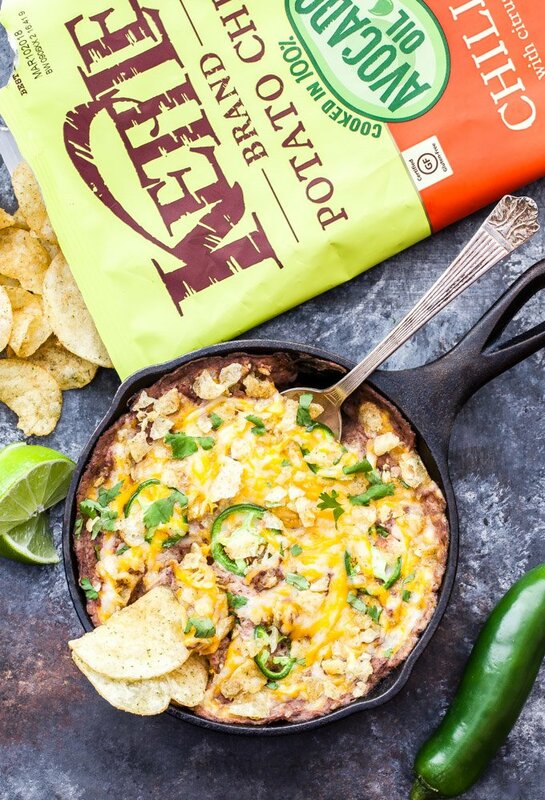 Normally I would have just served tortilla chips with this Cheesy Baked Jalapeño Black Bean Dip, but after trying Kettle Brand’s Avocado Oil Chili Lime Chips I knew they would make it taste even better. I love Kettle Brand and it’s my go-to when I buy potato chips. I like how crunchy they are and even more importantly that they don’t break when you scoop up dip with them. Nothing is worse than having half your chip left behind in the dip. I also love that Kettle Brand has created a line of chips that use better-for-you oils, like avocado oil. Since the chips use a better-for-you oil, I figured I should make a dip that fit the theme as well. Unless you told someone, there is no way they would guess the healthier swaps that were made in the black bean dip. Instead of loading it with full fat cream cheese and mayonnaise I opted for low-fat cream cheese and skipped the mayo all together. Instead of mayo I gave this dip some extra protein with cottage cheese. If you don’t like cottage cheese I promise you’ll never know it was in it. Everything in the dip is puréed together in the food processor making it not only undetectable, but a breeze to make as well. 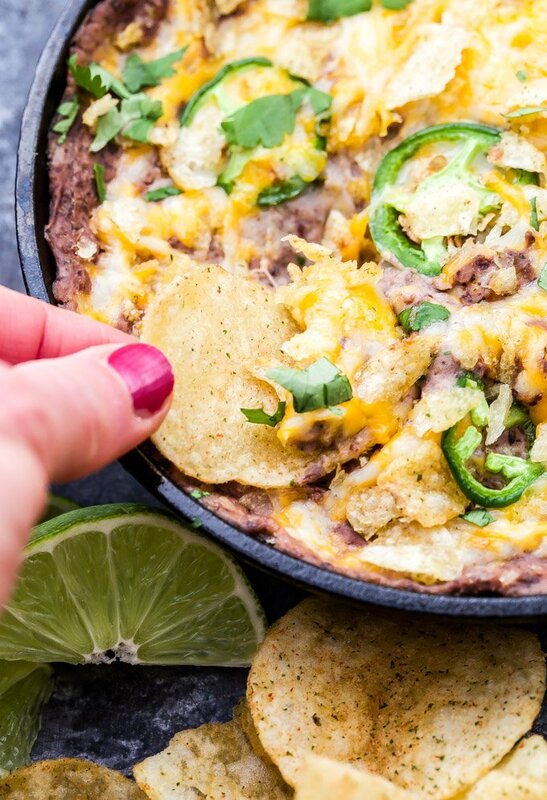 The dip is topped with cheese, jalapeño slices and a few of the crushed up chili lime chips. 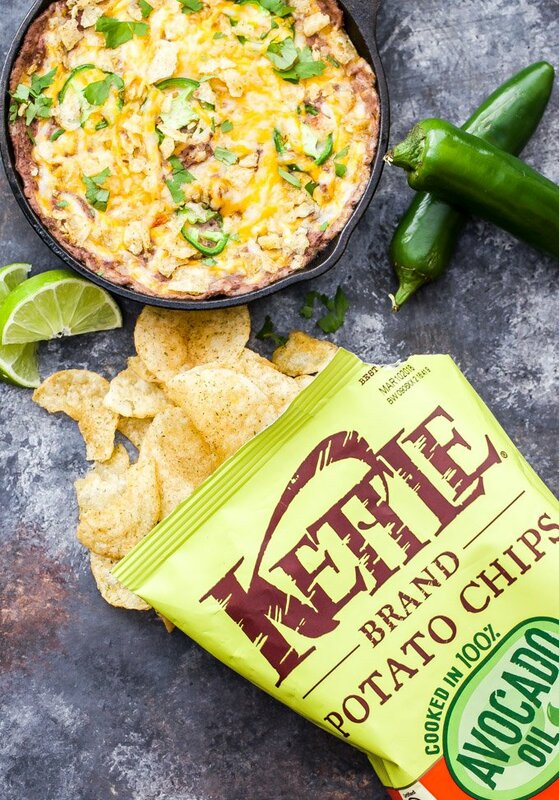 Bake it in the oven until the cheese is melted and the dip is bubbly, then serve it with those tasty Kettle Brand Avocado Oil Chili Lime Chips. I guarantee it will be gone before the first quarter ends! Add all of the ingredients up until the canned jalapeños to a food processor and purée until smooth. Scrape down the sides of the bowl as needed. Pulse in the chopped jalapeños and 1/3 cup shredded Colby-Jack cheese (about 3 pulses). 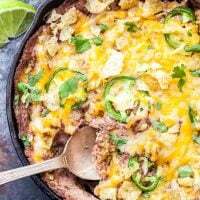 Pour the mixture into a greased baking dish or skillet and top with the remaining 1/3 cup of cheese, slices of jalapeño and crushed potato chips. 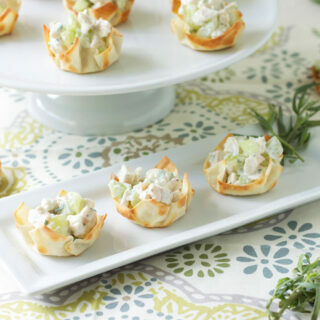 Bake for 15 minutes or until the cheese is melted and the dip is bubbly. Top with extra cilantro and serve with Kettle Brand Chili Lime Avocado Oil Potato Chips. 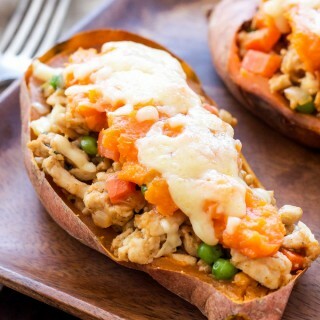 Can you tell me the Carb count in this recipe please? Hi Sandee, the nutritional info has been updated and shows the carb count now.